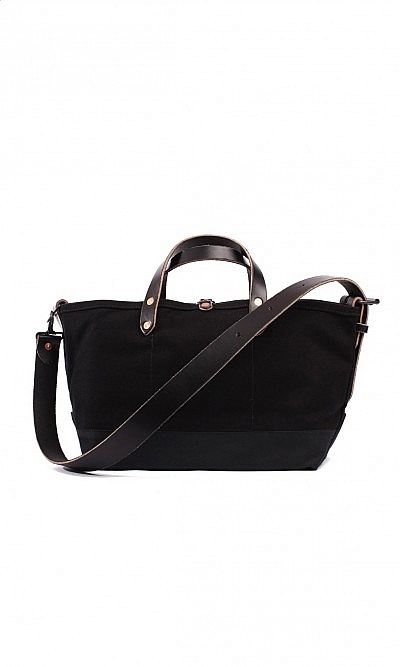 A classic American tote crafted from durable 24oz cotton-canvas with steel hardware and sturdy leather handles. An adjustable long belt-like strap makes it extremely versatile. Joshu&Vela. Made in San Francisco. W55cm H30cm D21cm.